Ian Foster sent in these pics and message about his friend Bob Blandin. 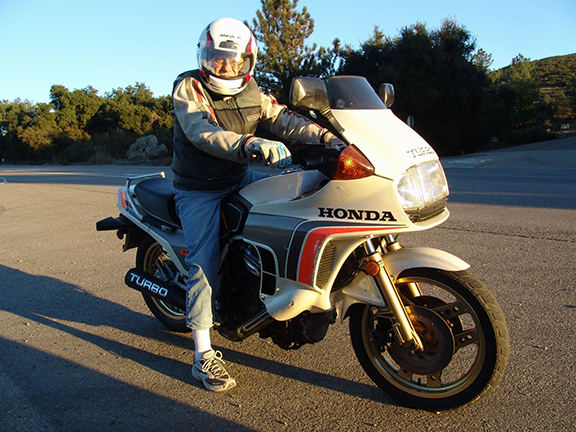 I attach some photos of my relative Bob Blandin, known as "Turbo Bob". 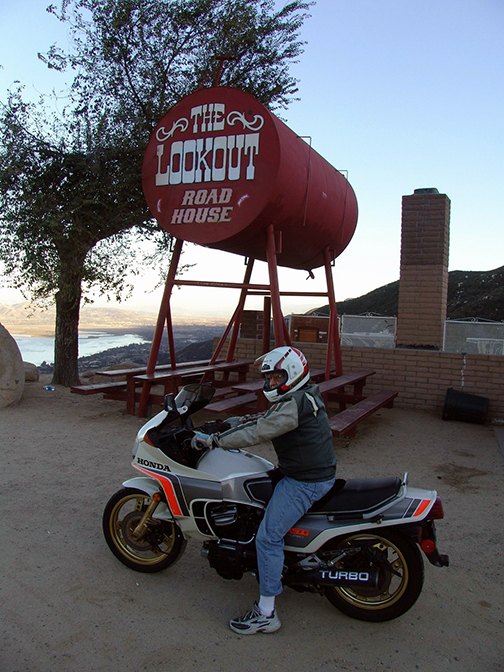 He rides his CX500 Turbo weekly and has had it since '84 when his son owned a Honda Shop in S.California. Bob is 85 years old and is as 'fit as a fiddle' still riding, driving, and flying his 4 seater Cessna! 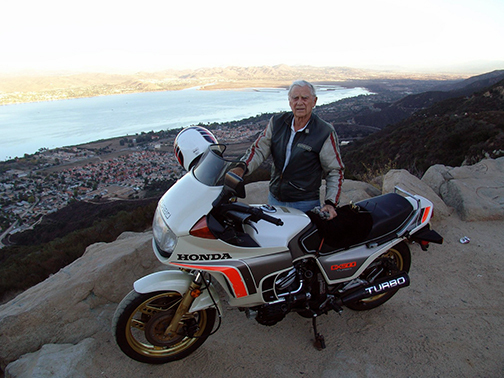 The photos are taken on Oretega Highway, overlooking Lake Elsinore. I hope you can use one of the photos. 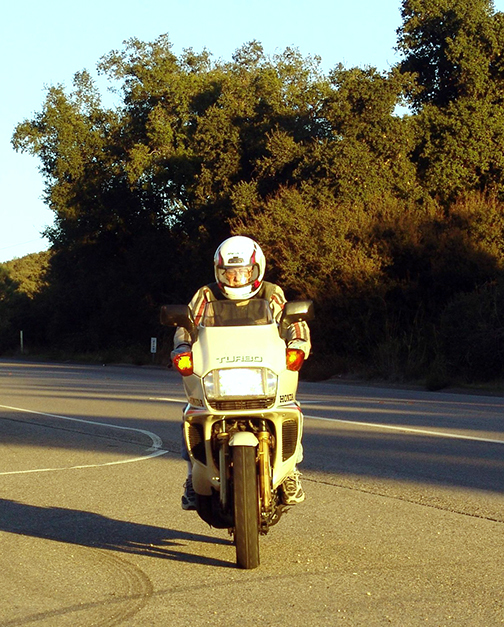 Bob would be delighted to appear on the Turbo website!